In the year 2017, Uttar Pradesh Chief Minister Yogi Adityanath had banned chewing of tobacco on duty. Mithlesh Kumar Tiwari, a government employee faced the wrath of the orders in February 2018 when he was inflicted with the punishment of permanent stoppage of two annual increment after being found consuming tobacco in office. The Allahabad High Court, however, found the punishment excessive and quashed the order imposing the same. 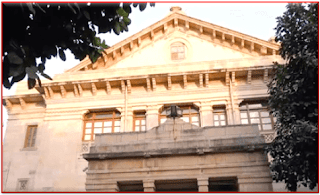 Mithlesh Kumar Tiwari had moved the high court seeking relief from the punishment as he was allegedly found in possession of and consuming tobacco/ pan masala in the office premises during an inspection in January 2018. The standing counsel for the government submitted that he was found in possession of excessive quantity of pan masala. Tiwari’s counsel contended that he was punished without being afforded a hearing or show cause against the proposed punishment and the charge against him that he imposed excessive quantity of pan masala is vague and arbitrary. He also stated that the punishment imposed was a major penalty under the UP Government Servant (Discipline and Appeal) Rules, 1999 which could not have been inflicted without following detailed procedure of holding a disciplinary enquiry. Justice Yashwant Varma noted that there was no evidence to show that the petitioner was afforded an opportunity to present his side. “More fundamentally the Court notes that stoppage of two annual increments on a permanent basis is a major punishment and is also not disputed by the standing counsel. If that was so it was incumbent upon the respondents to follow the due process as stipulated under the 1999 Rules and which must mandatorily be adhered to before the imposition of a major punishment. Undisputedly, neither any charge-sheet was served upon the petitioner nor were any witnesses examined,” said Justice Varma. The court, therefore, found the order against Mithlesh not sustainable and quashed the same while leaving it to the respondents to proceed afresh in the matter. Heard learned counsel for the petitioner and the learned Standing Counsel. This petition challenges an order dated 2 February 2018 in terms of which the petitioner has been inflicted the punishment of stoppage of two annual increments permanently. The allegation against the petitioner was that he was found in possession of and consuming tobacco/Pan Masala in the office premises during the course of an inspection in January 2018. The respondents allege that he was found in possession of excessive quantity of the substance in question. (Discipline and Appeal) Rules, 1999 which could not have been inflicted unless the respondents had followed the detailed procedure of holding a disciplinary enquiry. Additionally the learned counsel submits that the charge of the petitioner being in possession of an excessive quantity of the substance in question is wholly vague and the punishment imposed consequent thereto is clearly arbitrary. The Court notes that the assertions of the punishment having been imposed without following due process is a plea which is specifically taken in paragraph 13 of the writ petition. Although the respondents have filed a counter affidavit, while replying to paragraph 13, no material has been placed on the record to establish that the petitioner was in fact called upon and afforded an opportunity to show cause. More fundamentally the Court notes that stoppage of two annual increments on a permanent basis is a major punishment and is also not disputed by the learned Standing Counsel. If that was so it was incumbent upon the respondents to follow the due process as stipulated under the 1999 Rules and which must mandatorily be adhered to before the imposition of a major punishment. Undisputedly neither any charge-sheet was served upon the petitioner nor were any witnesses examined. On an overall conspectus of the aforesaid facts, this Court finds itself unable to sustain the impugned order. The writ petition is allowed. The order dated 2 February 2018 is quashed. It is however left open to the respondents to proceed in the matter afresh in accordance with law if they choose or are so advised. Allahabad High Court Quashes punishment of permanent stoppage of two annual increment of Uttar Pradesh Govt Employee Found Chewing Tobacco At Work, Read Order.